There have been numerous updates to the HTC IME keyboard which was ported over to the Motorola Droid, but most of the changes were so minor that they weren’t post-worthy. Now on version 19, I thought it was probably time to let you all know that you can upgrade to a version that is incredibly polished. In fact, the options for customization with this new version are pretty extensive and should give you one of the best keyboard experiences yet. 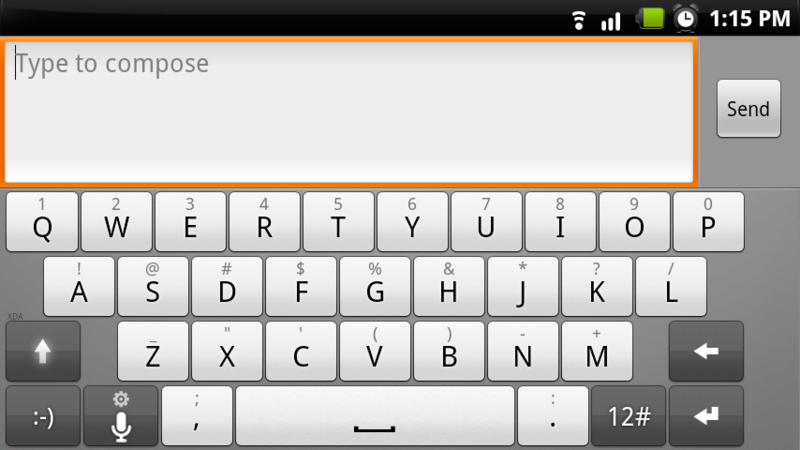 If you are not familiar with the HTC IME keyboard, trust me when I say that you need to get this right now. 3. Go into Settings>Language and Keyboard. 4. Check the box next to “Touch Input” to activate. 5. Go into a text box, long press, and select “Input method”. 6. Choose “Touch Input” as your keyboard. Files have also been added to our downloads page.